According to Wikipedia, a bug-out bag (or BOB) is a portable kit with the items one would require to survive for seventy-two hours (3 days) when evacuating from a disaster. You may have thought of everything and prepared your home well for survival in the event of a major disaster. But what if you're forced to flee from the safety of your 4 walls? 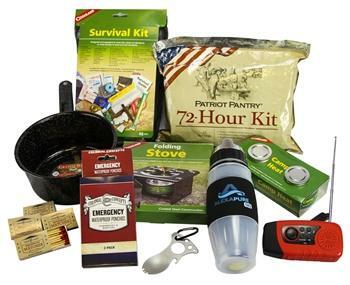 It is highly recommended that you assemble a portable 72-hour survival kit for each member of the family. Ahead of time. The best way to transport your kit "on the go" is to carry it on your back in a backpack. Keep your packed supplies easily accessible in an air-conditioned spot in your home; so you can quickly grab it, sling it on and go. Another smart place to store your bug-out bags is in the trunk of the car. Just remember, however, that if your BOB contains freeze-dried foods, they will not tolerate the extreme heat or freezing cold in the trunk. 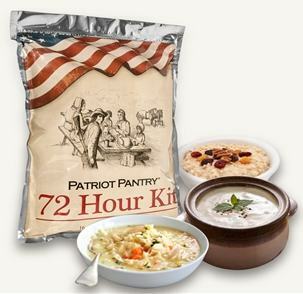 Keep foods in the house and grab a 72-hour food pack for each person on the way out. 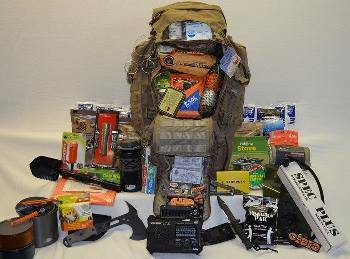 In addition to individual emergency survival kits (BOBs), we also recommend some equipment and supplies that would not fit into your BOB, but should be brought along for each small group or family-in-exile. Below is a nifty chart we created that should get you well on your way to creating your own personal emergency survival kits (Bug-out Bags) and planning for survival on-the-road. Click here to see the chart, then click on blue underlined items in the chart for more information/ buying details. 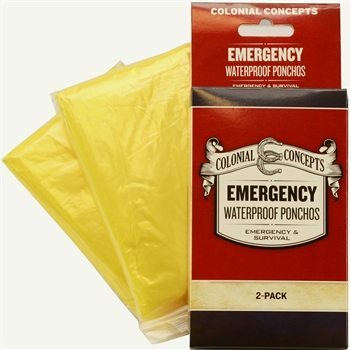 Colonial Concepts Emergency Ponchos 2-pack. Helps keep you warm and dry in the rain. Lightweight and durable protection from the elements. Order here. 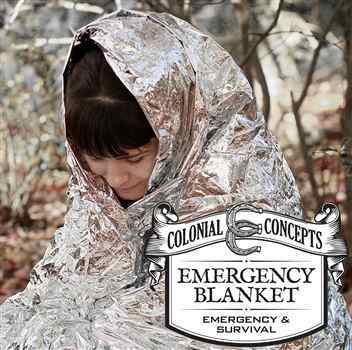 This emergency survival blanket was originally developed to protect men in harsh outer space environments. It works by reflecting heat back to the body. Durable, lightweight and compact for easy packing. May save your life one day. Order here. 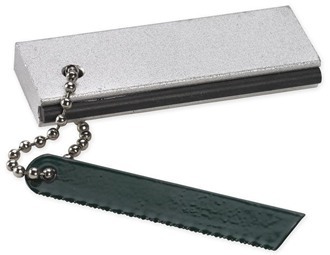 Keep one of these magnesium fire starters in your bag as an alternate means of starting fire, even in wet conditions. Includes sufficient shavings to start hundreds of fires. Order here. Starting a campfire is quick work with these sticks, even in wet conditions. 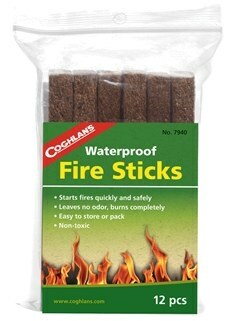 Sticks are non-toxic and burn completely with no lingering odor. Order here. Compact when closed, this cool tool houses a stainless steel fork, spoon, knife and bottle opener. Eat in the field with sturdy, full-sized utensils that will never get lost. Clever! The compact G.I. 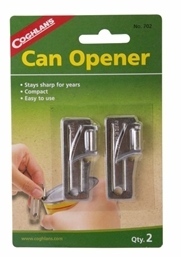 can opener is a longtime favorite. Easy to use and stays sharp for years. Takes up very little space in your BOB. Order here. This emergency food pack provides three days of freeze-dried, well-preserved and securely-packaged food for one person. Delicious, nutritious and lasts up to 25 years. Order here. 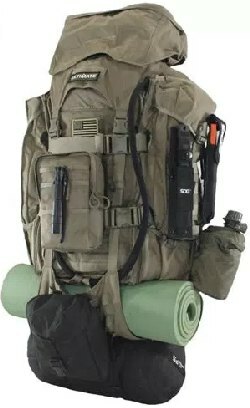 Northbound Train First Aid Kit for Camping - Fully Stocked with Molle Attachments for Tactical First Aid, Travel, and Hiking. This is the smaller of the kits we recommend, weighing only 11 oz. It also includes an emergency blanket, scissors and safety pins, so you won't have to purchase those items. (120 Piece) + Bonus 32-Piece Mini First Aid Kit: Compact for Emergency use. This is the bigger kit, weighing 1.2 lbs. Bonus small Mini Kit means 2 kits for one price. This purchase also includes an emergency blanket, scissors, safety pins, sewing kit, signal whistle and compass. Contains the following emergency meds: Anti-diarrhea, antacid, upset stomach, allergy, Acetaminophen and Ibuprofen. Small assortment of adhesive bandages and 2 safety pins. Compact, you'll be glad you brought it. 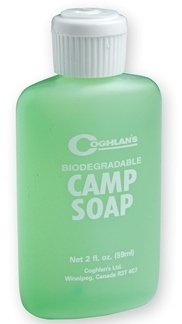 This concentrated liquid soap can be used for cleaning just about anything, in any water temp! 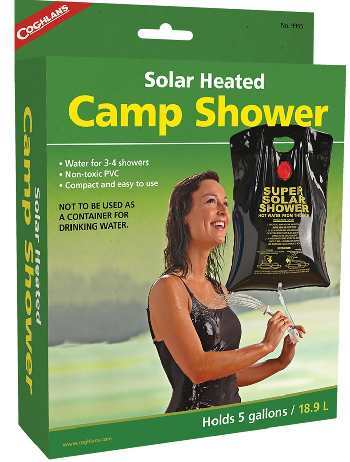 Effective on dishes, clothes, camp items, yet mild enough to bathe in and wash your hair. Order here. Lightweight and compact storage, yet expands to hold 5 gallons (enough for 3-4 quick showers). Hanging cord included. After 3 hours of exposure to the sun on a 70° day, water heats up to 104°F. Order here. A quarterstaff, also called a "short staff" or "staff" is a traditional European pole weapon popular in England during earlier centuries. It was usually 6-8' long with an iron tip or spike at the end. The walking stick we recommend here could not only help you steady yourself while hiking over rough terrain, it could be used as a weapon to defend against attacking dogs, or worse. Attractive, with a unique hand-carved wolf design. This 5 in 1 tool includes a waterproof matchbox, liquid filled dial compass, fire starter flint and a shrill signal whistle. Comes with a nylon lanyard to put around your neck. Order one here. 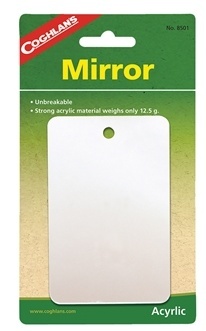 This sturdy mirror will be used often for shaving and other mirror uses; as well as a visual emergency signal. Liquid dampened needle with see-through base and rotating housing. This deluxe map compass has an integrated magnifier in the base. Lanyard included so you can wear it around your neck. Order here. 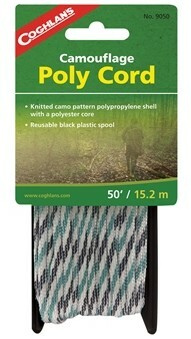 Braided polypropylene cord; diameter of 1/4". 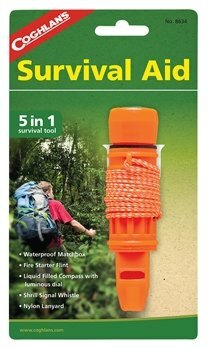 Many emergency uses, you'll be glad you've got some in your survival kit. Order here. Order a Preparedness survival tote here.